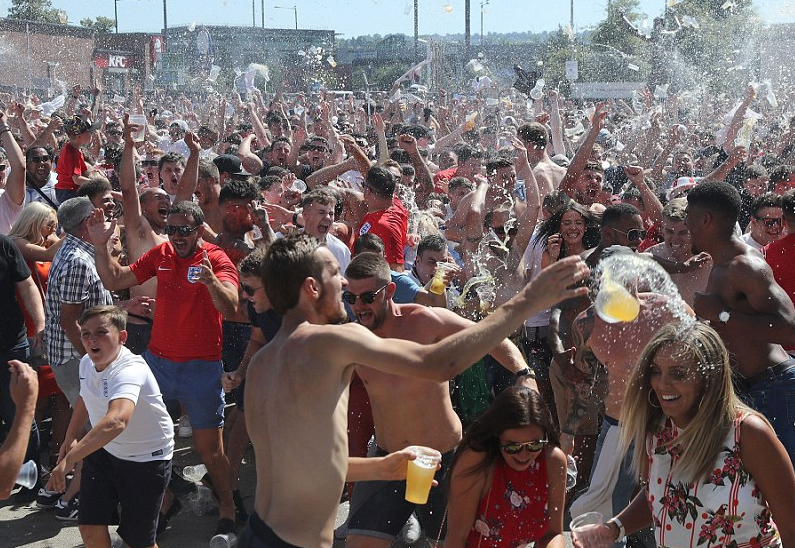 The biggest part of Britain will be in a state of ‘utter madness’ tonight after England won 2-0 in their quarter-final against Sweden, taking them to the semi-final of the World Cup for the first time since 1990. As predicted, the game didn’t open up until the first thirty minutes as England kept beating against the well defending Swedes but was finally able to get a lead from a set piece. A corner was headed in by defender Harry Maguire. 1-0. Sweden didn’t panic but didn’t really change the play either, simply waiting for the half to end so their manager could restructure the tactics. Coming out in the second half, it was the same sight in the first few minutes. Then in the 58th minute, as Sweden was forced to come out of their defensive shell and take more risks to look for an equalizer, Tottenham forward Delle Alli put the game beyond their reach with a header. 0-2. After that, Sweden pressed but England was able to hold on when the first waves of Scandinavian power hit them and their goalkeeper Jordan Pickford made some superb saves. Sweden had several free kicks still, but the game was beyond their reach as from the 80th minute when the English didn’t look like they would every give up a 2 goal lead anymore. The stadium started chanting from thereon, knowing that the win was in the bag. The country is now bound to go through a weekend of partying and drinking before preparing themselves for a semi-final against the winner of tonight’s game between Russia and Croatia. It’s not there just yet, but football may indeed be ‘coming home’ to the place of its birth. Two more games separate England from a first World Cup Champions’ title since 1966.